I've volunteered at an NPR community radio station. I regularly listen to NPR. Heck, I have even been interviewed on NPR a couple of times. But none of these facts diminish my sense of the chilling effect to free speech caused by the firing of Juan Williams (source). In the larger context of the discussion on Muslim American stereotypes and the paralysis caused by political correctness, Williams' admission to "getting worried, getting nervous" upon seeing individuals in "Muslim garb" is a candid admission of personal anxiety (source). Perhaps, given Williams' own writing on the African-American civil rights movement (source and source), his recent O'Reilly Factor admission of Muslim in-flight anxiety is a recognition of his own limitations, prejudices, and even bigotry. 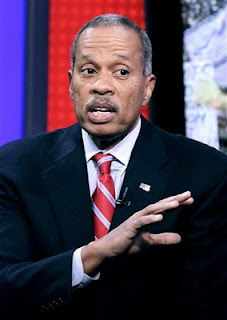 Given the topic of the program, being the controversy on The View when two hosts walked off stage after blowhard Bill O'Reilly insisted on calling the perpetrators of the 9/11 attacks as "Muslim" (source), one can easily understand Juan Williams is describing the very act of classifying groups of people rather than recognizing individual beliefs or actions. This subject is, of course, a difficult and nuanced one to approach; invariably it will arouse passionate debate and disagreement. "Juan has a First Amendment right to say whatever he wants. He does not have a First Amendment right to be paid by NPR for saying whatever he wants." Of course, never mind that Juan Williams comments were made while appearing on Fox News, not NPR. And never mind that Williams further contextualized his comments later in the same interview by maintaining that Muslim Americans should not be associated with violent Islamic terrorists. For Schiller, these issues fall by the wayside to the larger battle between media personalities such as Glenn Beck, George Soros, and others. "DeMint said the Corporation for Public Broadcasting, which funds NPR and the Public Broadcasting Service, has received nearly $4 billion in federal money since 2001 and is slated to receive $430 million in the 2011 fiscal year. The country is over $13 trillion in debt and Congress must find ways to start trimming the federal budget to cut spending," DeMint said in a statement. "NPR and PBS get about 15 percent of their total budget through federal funding, so these programs should be able to find a way to stand on their own. With record debt and unemployment, there's simply no reason to force taxpayers to subsidize a liberal programming they disagree with." While the amount of funding is minuscule in the scope of the larger federal deficit, the need for NPR in the 21st Century media landscape is questionable - particularly as other progressive news programs such as "Democracy Now!" and cable news network MSNBC provide a left-leaning information perspective without the overbearing political correctness NPR regularly binds itself in. 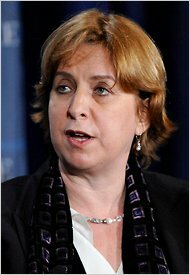 Regardless, the repercussions to NPR should be pronounced and longstanding. I find Juan Williams to be a generally insightful voice in the national conversation and this sharp reprimand over a comment on a contentious issue only reveals a disquieting sensitivity police state at National Public Radio.